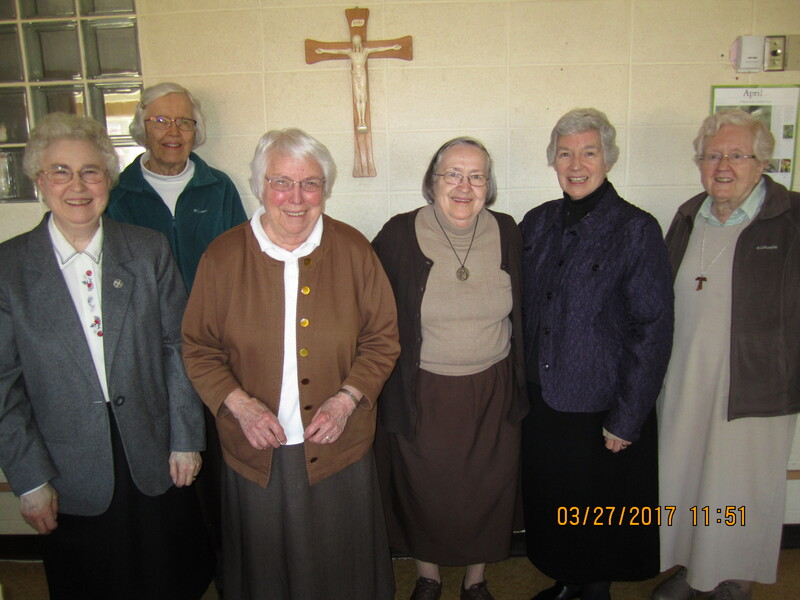 Benedictine Sisters join the Clares to share their experience and wisdom. 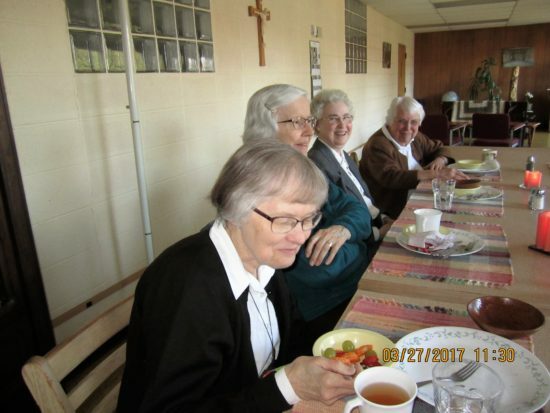 Sisters Michaela and Ruth from St. Benedicts’ Monastery in St. Joseph Minnesota came south to visit us and share their experience of closing their previous home, the Monastery of St. Bede in Eau Claire, Wisconsin. We continued our conversation though lunch. 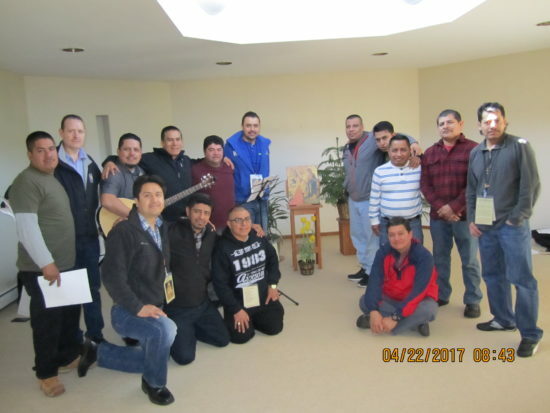 The Men from the Acts Mission based at Assumption Parish join us each Saturday for a joy filled celebration of the Eucharist. 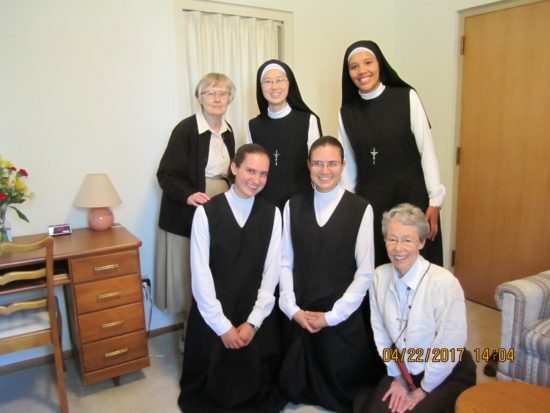 Sisters Emy and Eileen from Pro Ecclescia Sancta brought their two novices here for a visit. Christ is alive and we are alive in Christ. Alleluia! 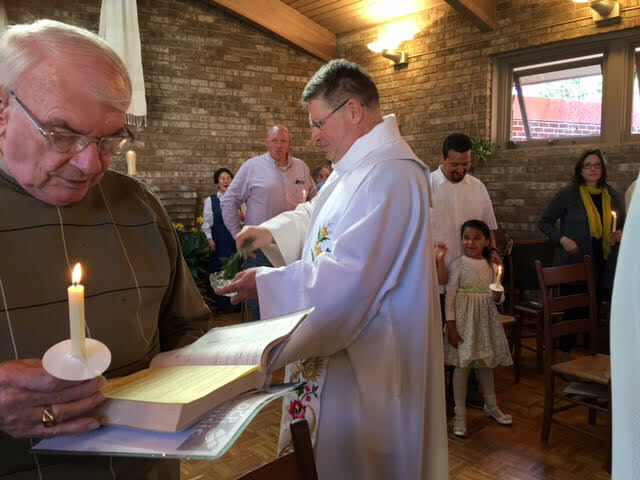 The worshipers receive the living waters of Christian renewal. Following our profoundly wonderful celebration of the Easter Triduum and the glorious Eucharist of Easter day I was looking for a book that might help me linger with these mysteries over the fifty Easter days leading us to Pentecost. I went to Amazon to see what they were offering and found Jesus Risen in Our Midst. This is a compilation of “essays on the Resurrection of Jesus in the Fourth Gospel” by Sandra Schneiders. It is a stellar work indeed. 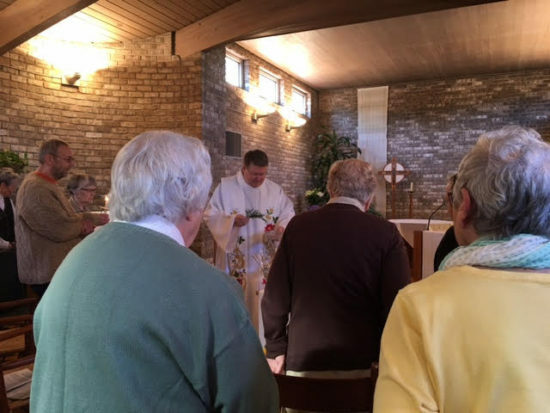 My problem is that I cannot get past the title: Jesus Risen in Our Midst. Holy Happy Easter Days!